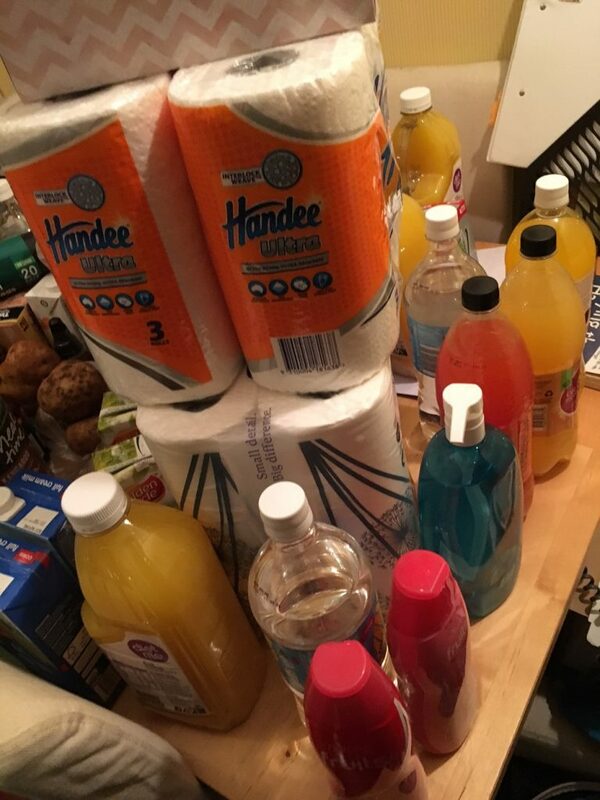 I used to post my grocery shopping on here pretty often. It all started with my very tight budget post when I was working part time and struggling financially. Then I did it regularly, sometimes along with photos of the meals I had made. 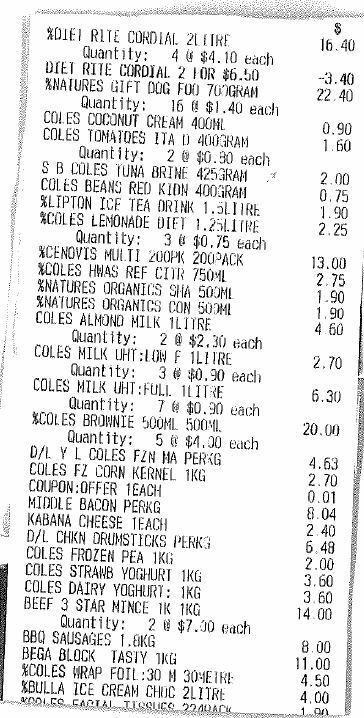 But I stopped, partially out of laziness and partially because what we buy each fortnight doesn’t really change. I’m also not the prescriptive type; I liked to share what I bought and what I made as it might give you ideas. Sure, I could tell you how I made each meal but I don’t cook using recipes and don’t shop using meal plans. I probably technically do but it’s all in my head and I’m not writing it out when there’s no benefit as we all work these things differently. Three weeks worth of grocery shopping = done. 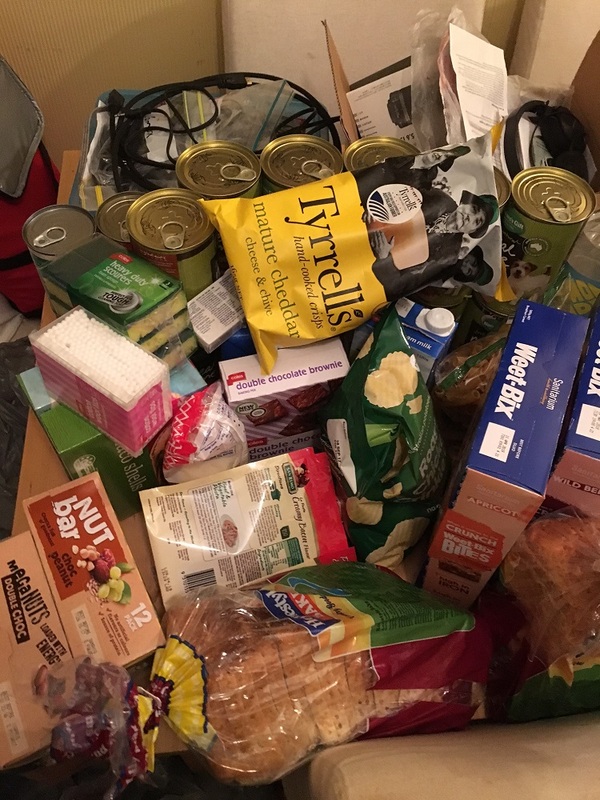 This mess is the 3 weeks worth of grocery shopping that we did so that hopefully we don’t need anything for the next few weeks while I’m recovering from surgery. As my husband doesn’t drive, it was necessary that we stocked up big. You’ll note we don’t really have fruit or veg – we don’t buy them from the supermarkets as we have a fruit and veg shop a few doors from our house. 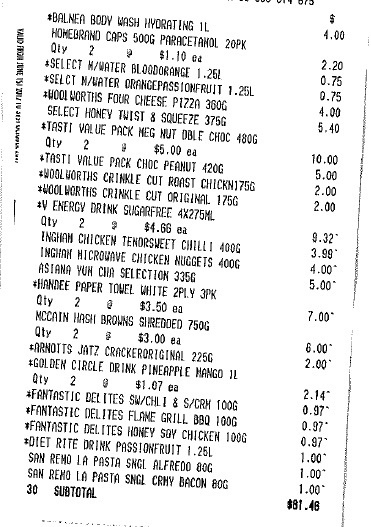 I’ve (badly) scanned the receipts so you can take a look at what we bought. 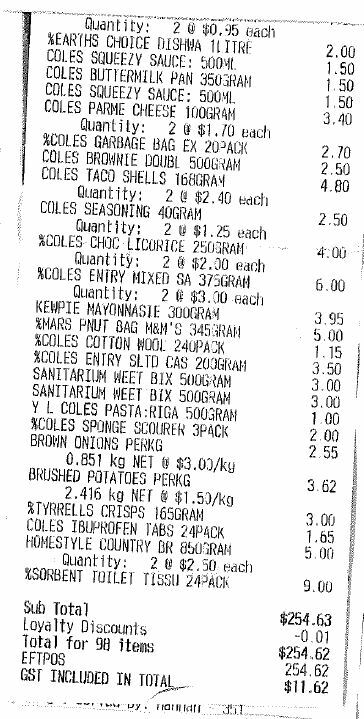 We spent $254.63 in Coles and $81.46 in Woolies for a total of $336.09. Not bad for 3 weeks of groceries, really! My goal is always around $100 per week. 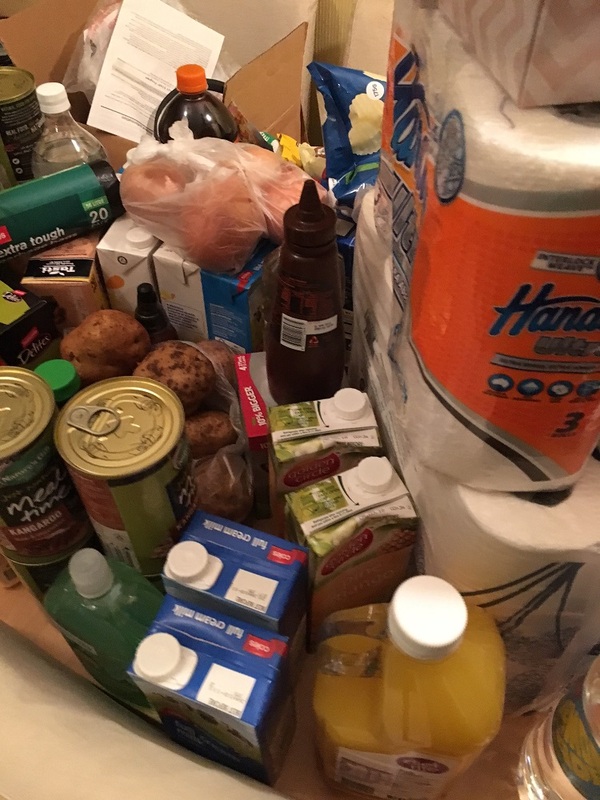 Or you can scroll down to the photos of the mess of groceries! Our dog is a type 1 diabetic so we never change so much as the flavour of the food she eats. So we bought a lot of cans to have on hand! And also, I freaking love those cheese and chive chips. And may have already eaten all of them in the past two days (I might as well enjoy some relatively pain free crunch right now). While a normal diet is expected within 4 hours of surgery, I’m paranoid about not being able to eat much. 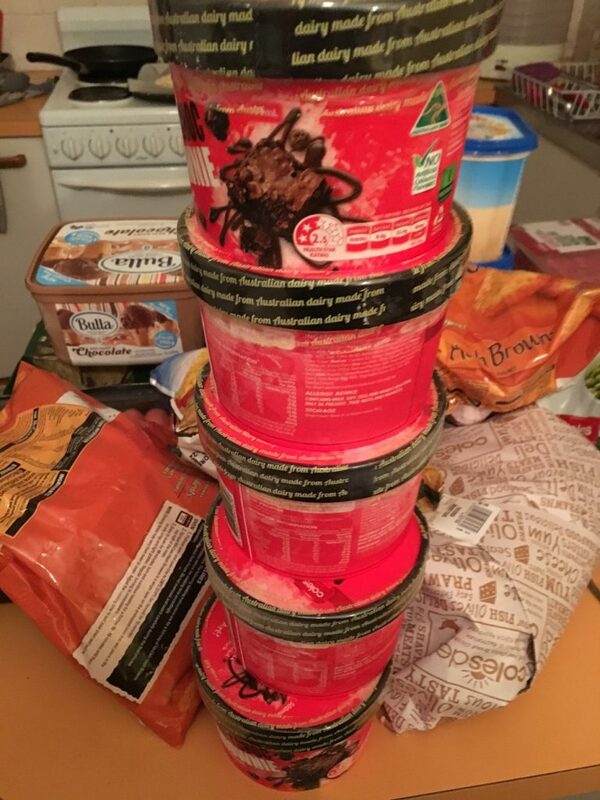 And while I’m not a massive ice cream fan, I do like the Coles brownie one. So I bought a few, just in case. It has been helping a bit at night recently. If I get sore near bed time, I have a few bites and it cools my throat off enough to avoid a dose of painkillers. And last, but very far from least, we have a stash of general meat and frozen stuff and lazy meals. We always have lazy meals on hand (see the chicken nuggets? That’s what I’m talking about!). It’s so much cheaper to know that some time during a fortnight you’ll have a CBF to cook moment and need to just be able to throw something in the oven. $4 for that ahead of time is much better than $10 or $20 of takeout. We’ve also stocked up on insulin needles for the dog and probiotics for me (cos I’m still living on antibiotics). I think we’re pretty much set now. Gulp. While I can gulp, I guess. Now as much as we can do is prepped so it’s just today and part of tomorrow at work, then up to the hospital early Saturday morning for the big snip. 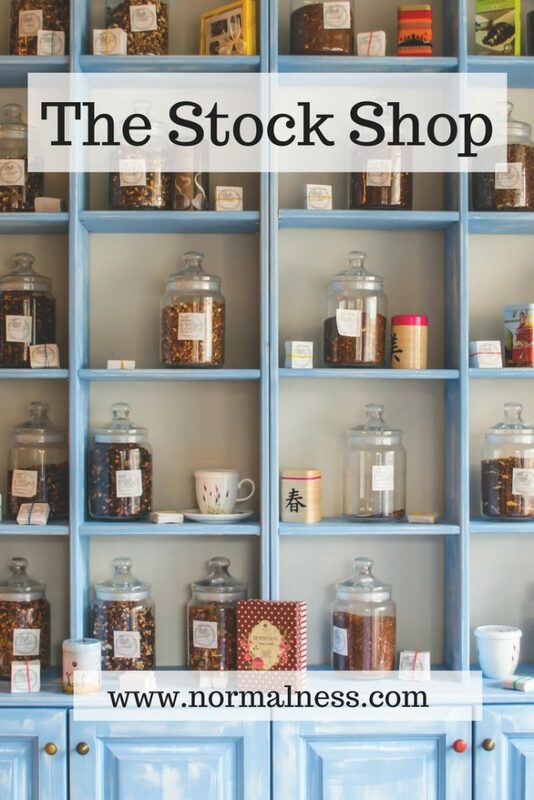 Have you ever had to do a massive stock shop? 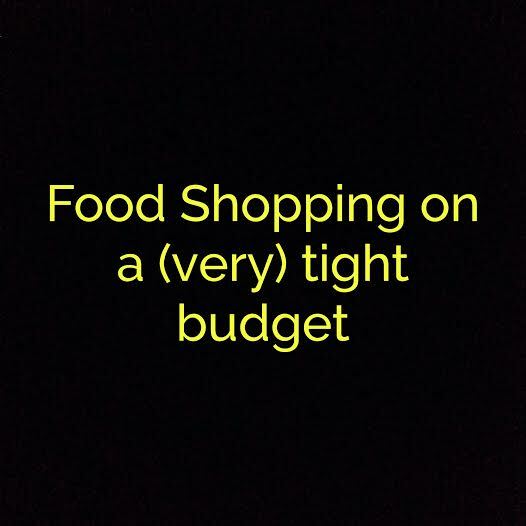 How much do you spend per week or fortnight on groceries? It’s always so interesting to see what other people buy each week, and how much it costs. 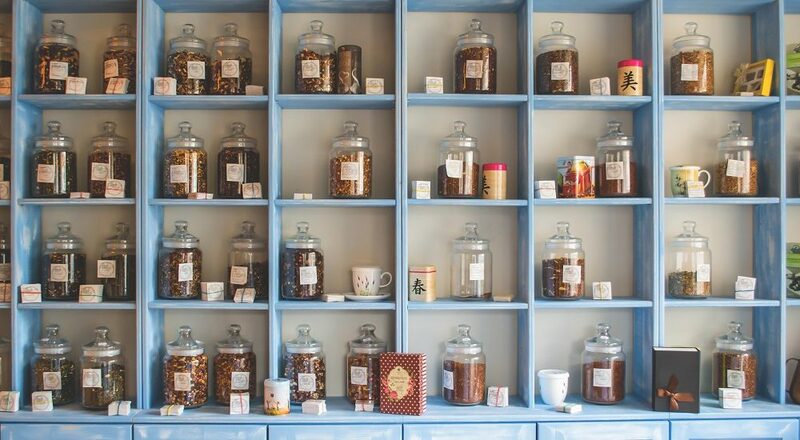 I’m no way near as organised as you and just seem to go randomly when we run out of things. However, I’m also a bit of a hoarder and there’s always something in the freezer and the store cupboard that I can throw together in an emergency. But I should just go shopping once every two weeks or once a month even. I used to do that when we lived in Lesotho and had to cross the border to go shopping in South Africa for our main supplies each month. We have it down to a fine art 🙂 We fit our fortnightly shops in to a small trolley in Coles haha. It’s amazing what you can fit into them if you add a basket for the small stuff. It’s fun to nose haha. Back in my Livejournal blogging days I ran a community where people shared photos of their pantries. I am the worst grown-up ever cos I never do proper grocery shops. I hate going and tend to call in enroute somewhere and buy a few bits and pieces. I never use trolleys – they’re akin to a station wagon… way too grown-up! But having said that I eat the same things all of the time so my shopping is pretty straight forward! And I’ve missed your news re surgery, or I’ve forgotten (wrapped up in my own little world). Will catch up! I don’t like the weekend crowds in supermarkets, which is why I do it on a quiet weekday evening and only twice a month. I’m having my tonsils out on the weekend so two weeks of pain and rest ahead, it seems. I’m inspired, Vanessa! I love seeing what other people buy at the shops as well. Thanks for sharing the backstory to your Insta post. I have a shocking habit. 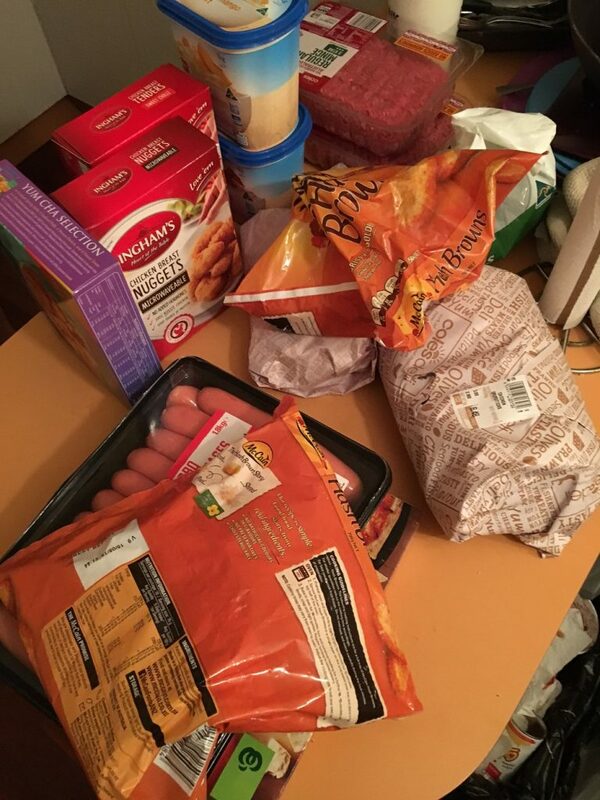 I stop by Woolworths … 3 -4 times a week. My local is in the same block as my son’s preschool and is only 5 minutes walk from home…. Plus a Harris Farm will be opening there soon too. I find the more times I stop by the shops, the more I spend! Reducing it to once fortnight really helps. I swear I can’t walk out of a supermarket for under $30 haha. We tend to stick to chicken strips and things like spring rolls. Never the “actual” frozen meals haha. Pretty much whatever is on sale, as I don’t think they’re worth it at full price. I meant to do a cook up last weekend but I was too tired. I also figure I don’t know what I’ll feel like or be able to eat, seeing as it’s my tonsils coming out. I’m sure I’ll work it out. I might be out of it next week so good luck for your surgery too! It’s fun to nose haha.